The William G. Pomeroy Foundation are now accepting applications for their 2019 Professional Development Grant Program. 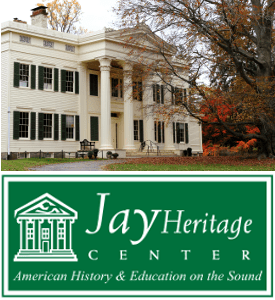 This program offers need-based scholarships of $1,000 each to historical societies and cultural museums in New York State for professional development purposes. Registration and travel related expenses to attend the MANY Conference (if you haven’t attended in the past two years). This program is open to 501(c)(3) historical societies & cultural museums in New York State with annual budgets of $50,000 or less. The grant application process is open through February 28, 2019. Visit the Foundation’s website to apply. Since 2006, the Pomeroy Foundation has grown to offer six different roadside marker programs, funding nearly 800 signs in New York State and beyond, all the way to Alaska. Our signage programs are: Historic Transportation Canals Marker Grant Program, Legends & Lore Marker Grant Program, National Register Signage Grant Program, National Women’s Suffrage Marker Grant Program, NYS Historic Marker Grant Program, and the Ohio Historical Markers Grant Program. 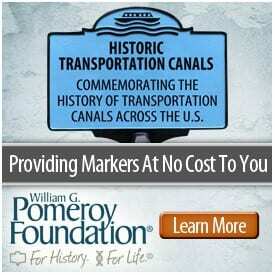 For more information, visit the Pomeroy Foundation’s website.